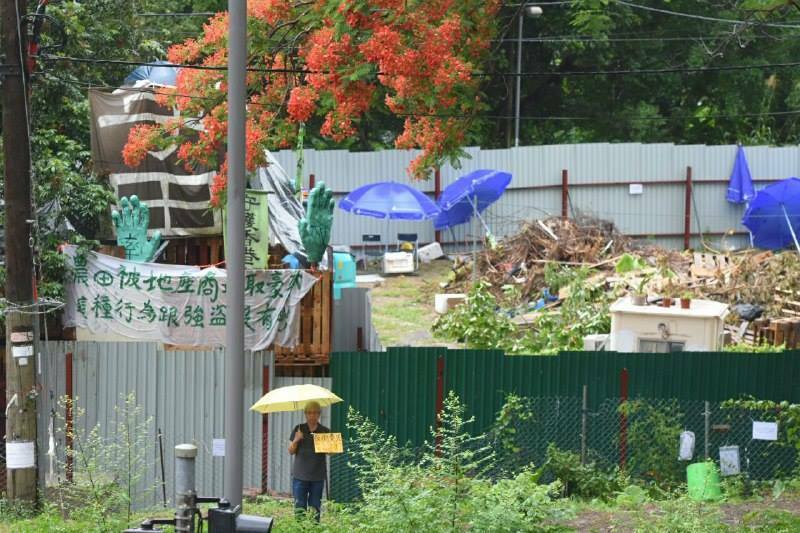 The High Court has granted the request of a subsidiary of Henderson Land Development to send in bailiffs to reclaim a piece of farmland it owns in Fanling. A group of villagers and activists have continued occupying the 5,500 square foot parcel of land that Henderson has planned to take back for redevelopment, despite an earlier injunction being approved for subsidiary Best Galaxy. They argue that developers should not be allowed to hold large amounts of derelict farmland to turn into residential developments. 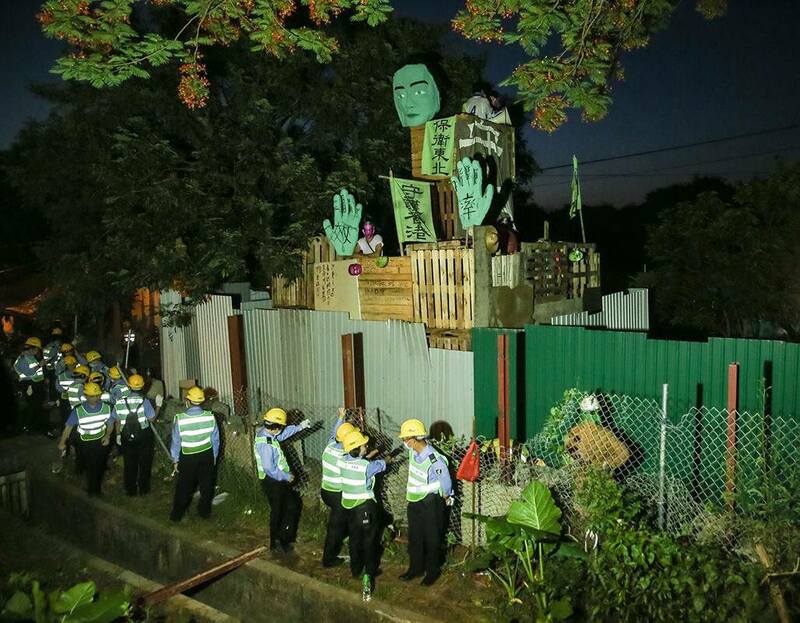 Despite several clearance attempts involving guards dismantling a wooden guard post built by protesters and the installation of metal boards, part of Mapopo Community Farm in Ma Shi Po has still yet to be reclaimed by the developer. The wooden guard post. Photo: Facebook. Henderson’s lawyers told the High Court that the company had tried to deploy some 200 security guards to clear the land but failed. They also said that the wooden structure was not safe according to structural engineers, RTHK reported. Samuel Luk Hok-hing, the representative solicitor, said bailiffs could clear the site, and ask for police support if necessary. Police officers could arrest those who violated the injunction. 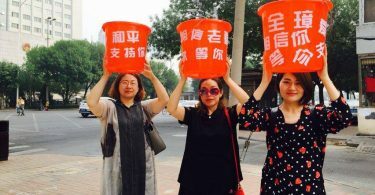 “I urge all those who are illegally occupying the land to leave on their own as soon as possible, to prevent any unhappy events from happening,” Luk said. Bailiffs could arrive as soon as next Monday. 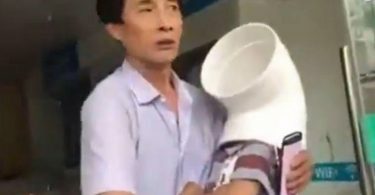 The clearance of the occupation in Mong Kok during the 2014 protests adopted a similar model, in which activists were arrested by police officers as bailiffs were not able to carry out the injunction and requested help. Henderson previously said that it has terminated the tenancy with farmer Au Lau-kan in 2007, and that Au has been occupying the land illegally for nine years. It also said that it has attempted to negotiate with Au to reach an agreement, including an offer of compensation, along with an offer of another piece of land for lease in exchange, but Au refused. Henderson has until the end of this year to reclaim the area for it to be eligible to exchange land with the government, as part of a new town development plan.